The Andes Mountains are home to great botanical diversity and are the origin of many vegetable species consumed in North America. Worldwide mainstays such as peppers, cassava, potato and tomato all have evolutionary connections to this area, from which over 200 plant species have been domesticated. The vast diversity arises from variation in geographical features, as native species have adapted within the challenges of coastal deserts, the Andean mountains and tropical rainforests. Ancient farmers were amazing innovators, with irrigation, drainage and extensive terracing defining hillside farms before the Inca civilization of the 1400s. Agrarian civilizations were ripe for domestication of wild species and production of new varieties. Many crops that have thrived in the Andean highlands for millennia have radiated worldwide and are now embraced by North Americans. One great example is quinoa. Peru and Boliva supplied approximately 80 percent of the world’s quinoa production. Smallholder quinoa farmers have enjoyed a tripling of price over the last decade. Quinoa, potatoes and tomatoes are all examples of crops originating from this region that found favor throughout the world. It is entirely possible that of the hundreds of domesticated species and probably thousands of varieties, there must be crops that may perform well in the southeastern United States. 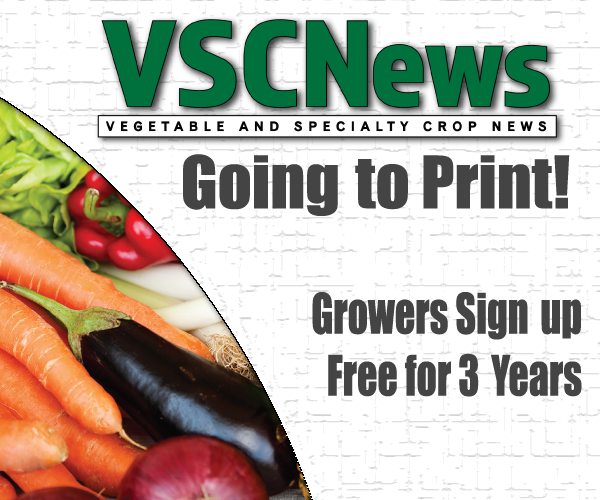 These crops could bring exciting new opportunities to farmers, and new specialty crops to consumers. This article highlights three solanaceous crops that are common favorites in the Andes countries and may have potential as new additions to the American farmer’s specialty crop portfolio. The sweet pepino (Solanum muricatum) is native to the Andes Mountains, yet today is finding appreciative consumers as far away as Japan and New Zealand. While “pepino” is Spanish for cucumber, it is a solanaceous crop closely related to tomato and pepper. 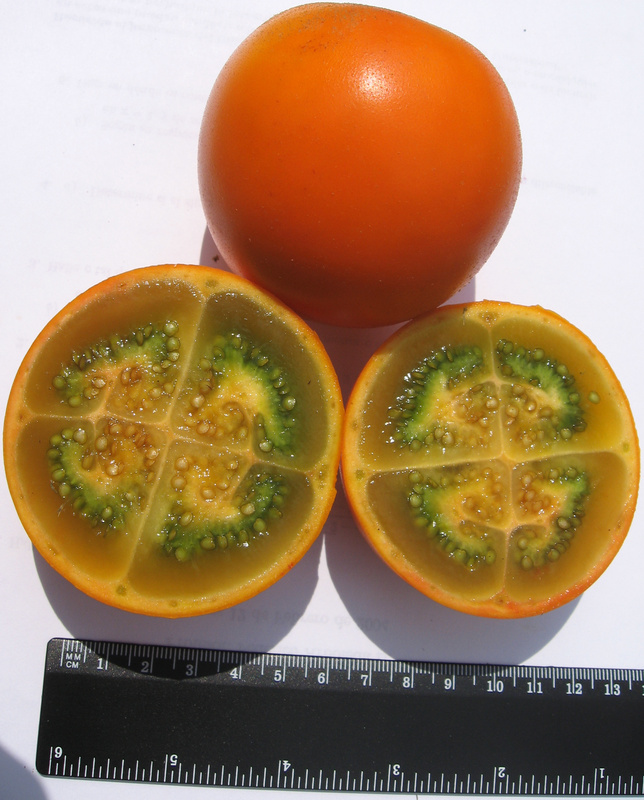 The baseball-sized fruit has a teardrop shape. The thin skin is yellow with purple bands, and resembles a cross between a honeydew melon and an eggplant. The plants are parthenocarpic, so there is no need for pollinators. The pepino will grow as a perennial, although farmers typically plant it annually due to insect and disease pressure. In Florida, plants experience the same constellation of pests as tomatoes, peppers and eggplants. The plant requires frequent watering, prefers sandy soils and can survive slight freezes to 27.5°F. It is daylength insensitive. A number of varieties are commercially grown in New Zealand, Colombia, Ecuador, Peru and Chile. Pepinos have a bright orange flesh that is juicy and flavorful, with a taste reminiscent of cucumber and melon. The flavor can be weak or acidic if the fruit is not eaten at the correct stage of ripeness, determined when the fruit skin is pushed with a finger and leaves a dent. Ripeness also correlates with increasing purple color. Pepino seeds are available through a variety of online sources, but it is hard to gauge how productive individual plants will be due to a complicated heterogenous genetic background. They are easily propagated by cuttings, so obtaining cuttings from known productive plants is a preferred method of propagation. The tamarillo (Cyphomandra betacea) is recognized as the “tomato tree” as it grows a tall, erect trunk that gives rise to the fruit. The fruit is egg-shaped and can be red, dark purple-red or even yellow. 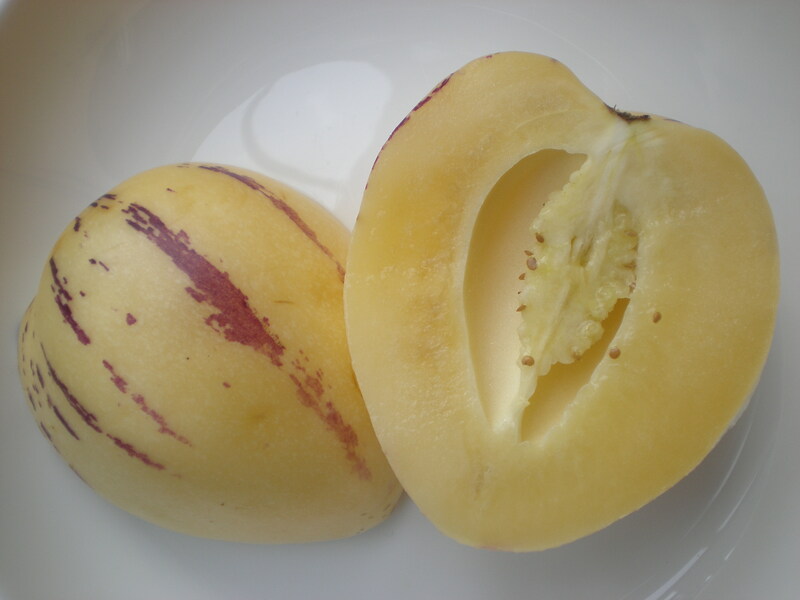 The tamarillo is another solanaceous crop, closely related to the potato and tomato. 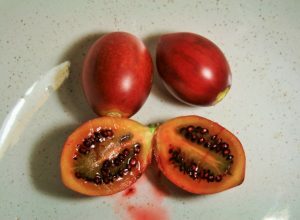 Like the pepino, the tamarillo has enjoyed some genetic improvement and production in New Zealand, starting when bananas and oranges could not be imported during World War II. Today a commercial industry exists with popular named varieties. The limitation is tamarillo’s sensitivity to freezing, requiring tunnel protection or growth in frost-free areas. The trees become productive after 18 months, reaching peak output in three to four years. The plants have shallow roots and are sensitive to competition and drought. Trees in commercial plantations last about eight years. However, when in production, a single tree can generate 44 pounds of fruit in a season. Fruits exhibit excellent postharvest quality. Tamarillo’s taste has been described as tomato-like but piquant, which is a nice way of saying excessively tangy. The juice is colorful and flavorful, but better blended with citrus and other sweet juices. Tamarillos are used in jams and jellies, and in New Zealand the fruit is diced and added to chutneys used to stuff lamb. Tamarillos freeze well. Tree tomato may be grown from seeds obtained through online retailers. There are dwarf varieties that produce sooner and require less space for production. While named cultivars are prized in New Zealand, there is great opportunity for genetic improvement. The lulo (Solanum quitoense) is extremely popular in Colombia and Ecuador. It produces a fruit and juice that is similar to sweet lime/orange juice. Perennial plants are herbaceous and about 3.3 to 8.2 feet tall. Fruits look like fuzzy golf balls with leathery skin and an inside similar to tomato. The plant has undergone little genetic improvement from wild Andean relatives. Production areas are limited because of lulo’s lack of genetic diversity, and the fact it is productive between a narrow range of temperatures (50 to 86°F). Nematodes are a substantial problem, but closely related species are resistant and may serve as rootstocks or as parents in long-term breeding objectives. Recent production has increased in Guatemala, Panama and other Central American regions. Plants are usually extremely productive (27 tons of fruit per hectare, enough for 47,000 liters of juice) until declining from nematode pressure after about four years. Plants respond well to heavy fertilization. The fruits, when picked at the edge of ripening, have good postharvest quality — lasting at least a week without refrigeration. Subjects in blind taste tests at Cornell University chose lulo juice over apple juice nine to one. Commercial juices were never prepared simply due to no reliable source of fruit. The fruit is described as highly versatile, with its sweet pulp serving as dessert toppings or found in fruit salads. Lulo has little commercial market outside of South American enthusiasts. Plants are propagated by seeds or cuttings and can be grafted onto S. macranthum rootstocks for nematode resistance. While these species have significant limitations as to their suitability as production crops in the Southeast, they should be considered because of their potential. New technologies that speed breeding or introduce new traits through biotechnology may increase the feasibility of introducing additional fruits of South America into the North American palate. Kevin M. Folta is a professor in the Horticultural Sciences Department at the University of Florida in Gainesville.